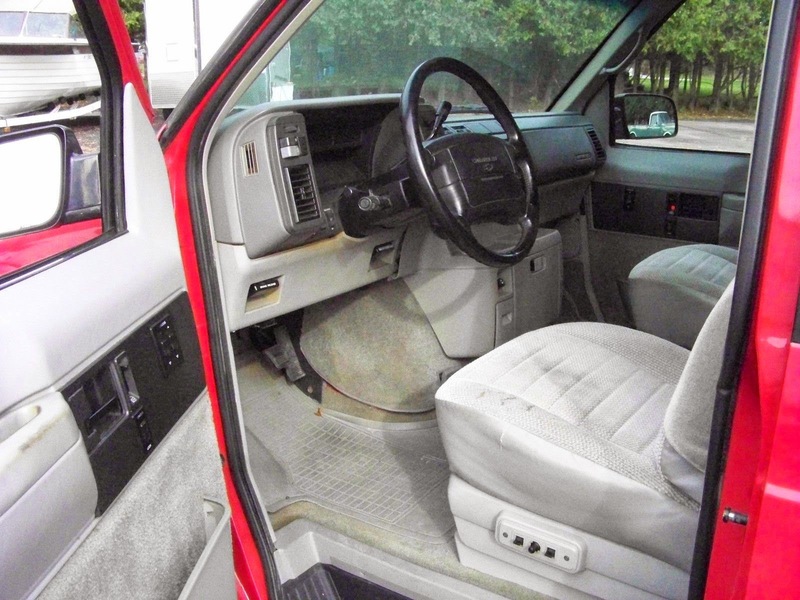 The Chevrolet Astro/GMC Safari was a medium sized van that used light truck power trains in a unibody van chassis. Its rear drive setup separated it from the front-drive mini-vans, but the size (and mass) of the Astro/Safari was closer to the minivans, which makes them the perfect car for a righteous engine swap. 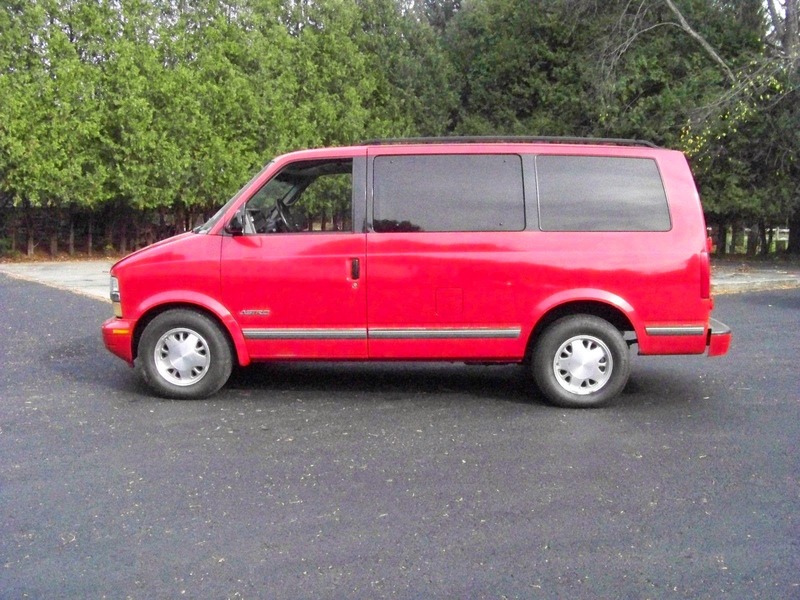 Find this 1995 Chevrolet Astro Van with 454 V8 here on eBay , currently bidding for $3,500 reserve-not-met with 1 day to go. Tip from Adam. This Astro Van really hits all the high points for a great sleeper; Totally inconspicuous exterior, stock looking, (no obnoxious hood scoops) and a humongous V8 under the hood. Power comes from a 454 cubic inch Chevy V8 that has been massaged for even more power according to the seller. Horsepower figures are hard to guess from the sellers description of parts, but something in the 400 hp range would not be unreasonable to expect. Honey, you know how we have been saying that I have enough toys and the next car we buy will be a minivan for you? That looks way easier to work on than the stock 4.3 V6. 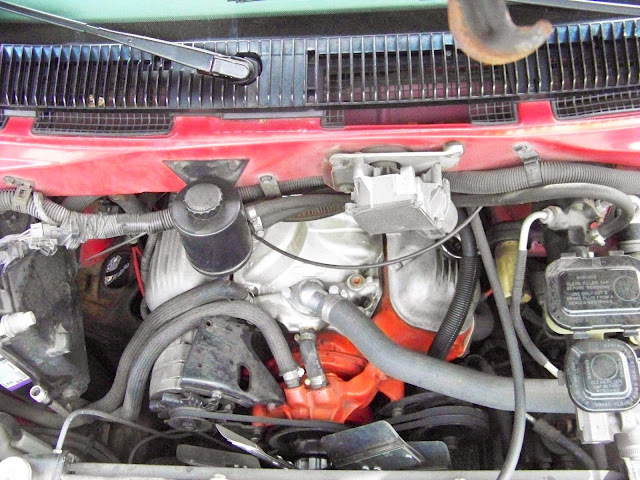 To pull the plugs from the stock 4.3 V consisted of one from the engine compartment and one from the interior. Then the balance of the plugs through the wheel wells. We now have a 2001 Blazer 4.3 V6. You would think access would be improved since the engine is all under-hood. Noooo.... You still need to pull the plugs through the wheel wells and one of them is located directly behind the steering shaft. I modified a special shorty wrench just for that location and it's still a b%#%^&? Willing to bet all that plastic yellowing underneath the instrument binnacle is from engine heat seeping through the dash. Holy tight squeeze. I have to admit, it appeals to my inner hoon. Oh hell, my outer hoon too. He doesn't discuss the aspiration, but given the nature of the rest of the build I'm going to assume a carb, that and the Hookers and the gutted cats render it unsmoggable in California even if you could get a BAR referee to buy off on the swap (or a blind smog tech not to recognize it as something other than a 4.3). This sure would be fun for a day at the drag strip. First, gotta make sure the exhaust system is extremely quiet. Add an exhaust cut out. Show up early and make several low speed passes around 20 seconds for test & tune. Then when the real bracket racing starts dial in your real time. Just as you get lined up at the tree open the exhaust cut-outs. The first pass will have everyone standing on their feet and cheering! It is small with no raised roof. It would be a very inefficient choice as a sleeper unit. How many miles per gallon would that drive train option produce? I suppose it can tow a trailer well.